Having a dog or a cat as a furry buddy is a blessing. They add an extra dash of joy and humor to your life. In fact, most pet owners treat their pets as their own children. But if you have a busy lifestyle like a majority us, it can be challenging to monitor and care for our pets. Thankfully, innovative companies now offer pet cameras that can greatly contribute to the proper pet management. If you need to fly across the country to attend a business meeting or any important event, the last thing you ever need is a baggage of stress and anxiety. Having a pet camera prevents you from constantly worrying about your pet's state, now that you can monitor him 24/7. Some pet cameras even feature a two-way communication system so you can fully interact with your beloved pet even when you're away. You can play games with Doggo and never miss precious Kodak moments that you can share with your friends later. Apart from keeping your pets company or intoxicating yourself with their cuteness, ensuring your pets' safety has to be the main reason why you need a pet camera. Some cameras have night vision so you can monitor your pets while they are off to dreamland. Also, you need to keep an eye on your ever-curious dog so he won't hurt himself or your grumpy cat from doing feline crimes. There are numerous possibilities with a pet camera. It can be used as a tool to continuously train your pets. Take note that destructive behaviors in pets are linked by being left alone. Hence, a pet camera can solve a lot of problems altogether when used strategically. A pet camera with a two-way communication system allows you to play games, chat, give treats, and enforce obedience when needed. Pawbo+ is inarguably the crème de la crème of pet cameras. First and foremost, this gizmo is brought to you by Acer Inc., which is one of the elite hardware and electronics corporations. Acer's debut pet camera is wireless and user-friendly. It features interactive capabilities such as treat-dispensing for Doggo and laser pointing for Tomcat. The treat dispenser has a removable tray, which is also a breeze to clean. You can try various sound effects when dispensing Doggo's treats, so he can understand what each means and train him in the process. In addition, this pet camera includes an LED status indicator and a wide angle lens that can view up to 130 degrees. You can enjoy a two-way communication system with your pets, so you won't miss your fur-babies that much even if you are away on a business trip. Simply download the Pawbo Life app for your Android or Apple devices, so you can make most of the features of the Pawbo+ pet camera. Apart from 720p live streaming, you can share photos and videos to social networks such as Facebook and Instagram. Likewise, you can store all your precious memories using Dropbox and Google Drive. Aesthetic-wise, Pawbo+ exhibits a compact oval shape, a contrasting black and white sleek surface, and an orange logo. It measures eight inches tall and four inches wide, and weighs only one pound. Though it's cute, Pawbo+ is fairly stable when placed on a flat surface. The Petzi Treat Cam offers a long list of features that make pet management less difficult and more enjoyable. 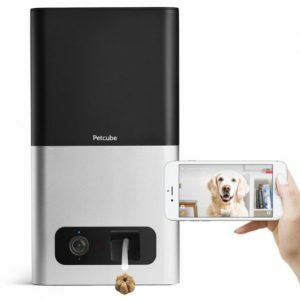 Even if you are busy at work or getting a coffee fix at a café downtown, you can take control of the Petzi Treat Cam using your smartphone or tablet. Just make sure you have downloaded the Petzi app on your device of choice. Not only can you see what shenanigans your pet is up to, you can also speak to your furry buddy even if you are a thousand miles away. The audio quality may not rival with high-end devices, but you can rest assured that communication is clear and crisp through its durable speaker. 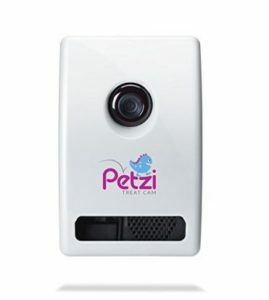 Moreover, the Petzi Treat Cam features a wide angle camera lens; providing you a smooth 720p quality live streaming via Wi-Fi. You can have a good look at Doggo, capture hilarious moments, and share it online with friends and pet lovers to see. The sharing functionality is within the cam's user interface. What is more, this pet cam includes a treat dispenser that can accommodate kibbles that are up to one-inch in size. Installing the Petzi Treat Cam is an easy feat since it comes with all the tools you need: a six-foot power cable, a few packs of sample treats, and rubberized feet with mounting brackets, so you can also mount it against a wall for convenience. It is certainly okay to get your hands on a low-cost pet gizmo while you're still saving for a high-end one, especially when your budget won't allow it. Although it doesn't have the extra features that will also cost you the extra dollars, the ZModo EZCam has all the basic attributes you need to keep an eye on your beloved pooch. This unit features a two-way communication system with adjustable volume. You can insert an SD card to record locally for around 36 hours or more, depending on your card's memory. Or better yet, you can avail a service plan for a continuous cloud recording; however, you need a 2.4 GHz pass-protected Wi-Fi with at least 4 Mbps upload speed when using ZModo Cloud. 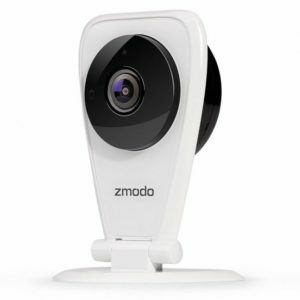 The ZModo EZCam is among the easiest devices to set up. You can sync your camera to your smartphone via a QR code, so you can keep tabs on mischievous paws in 720p HD quality and receive push notifications. Simply install the Zsight app on your computer, iOS 7 or Android 4 device. Its lens offers 105 degree of view, which isn't much but good enough for a small to medium-sized room. If the motion detector is triggered, it will automatically send an alert to your device, so you can focus on an area you want to monitor. Moreover, the ZModo EZCam needs to be powered via a USB port, so you need to mount it near an outlet. This pet cam's edge is surrounded by eight IR LED lights to give you enhanced night vision, plus a green light indicator that shows connectivity. Nonetheless, you can manually turn off the night vision feature, so the IR lights stay off. 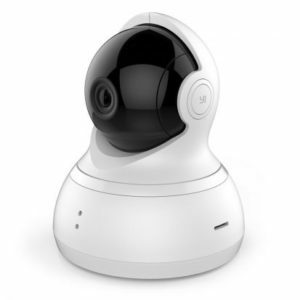 The YI Home Camera, is more of a home monitoring camera. It also sends push notifications while you're away. Simply download the YI Home App for your smartphone, tablet, or computer. With a reliable Wi-Fi connection, you can access your pet camera at home anytime, anywhere. It offers a complete coverage of your pet in 720p HD with its 112-degree advanced glass lens and 345-degree horizontal and 115-degree vertical rotations. With eight built-in infrared LED beads, you can have a quick sneak peek of your pet while he's sleeping at night. The LED beds also extend its viewing distance up to three meters without light pollution, so your pet stays undisturbed by the glare. With its auto-cruise feature, you can bookmark up to eight specific spots and scan them quickly with a tap of a button. Such feature is very beneficial for large rooms. You can even focus on one spot to have a better look. This pet camera also provides two audio options: an intercom mode or a hands-free mode. What is more, its microphone features a built-in anti-noise filter for a clearer audio experience. For optimum convenience, you can sync your camera with several other devices using the same app/account. To avoid losing precious Kodak moments, ensure all your photos and videos are safe and secure via Cloud. Monitoring your pet day in and day out can be as clear as day when using the Petcube Bites Pet Camera & Treat Dispenser. It provides a 138-degree field view in 1080p HD quality. Now, that's a superb way to capture Instagrammable pictures and videos of your furry superstar. To do so, simply use the cloud recording service, Petcube Care. As for real-time notifications, simply download the free Petcube app for your iOS 8.4 or Android 4.3. With its smart sound and motion detection, you will get instant alerts of major disturbances in your home. Plus, you also have 3x zoom options, so you can get a better look at the action going on. Even if you're far, you can always stay connected with your furry family member with its two-way audio system. If he is being naughty, you can always tell him to stop. But if he is being nice, you can always reward him with his favorite treats. The Petcube Bites has a high capacity built-in treat dispenser that toss treats Angry-Birds style. Keep in touch with Doggo even if you're miles apart with the Petcube Play Pet Camera. Using your iOS or Android device, you can enjoy watching your dog in live action through a crisp 1080p HD video stream. This unit comes with a free 30-day Petcube Care trial so you can enjoy recording funny videos of your pet. Likewise, you can review or rewind previous video history if you necessary. 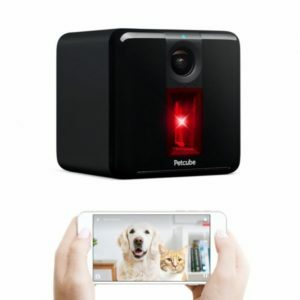 In addition, the Petcube Play Pet Camera features night vision and 3x zoom so you can have a better look at your pet even when the lights are off. Sound and motion alerts are also there to notify you of major events. The interactive pet camera features a two-way audio system, you can always say a quick hello to Doggo and hear him bark back at you. Likewise, you can tell him to stop whenever he is up to no good. There's even a built-in laser to help relieve your pets from boredom. You can let your dog play live or schedule playtime a bit later. The Petcube Play Pet Camera is beautifully designed. It exhibits brushed aluminum and curved edges with a non-slip bottom and chew-proof cord. 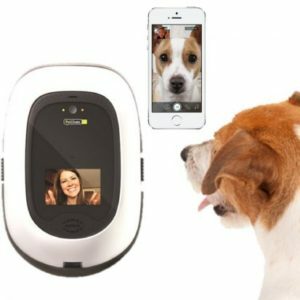 PetChatz's stand out feature is the award-winning Greet & Treat® videophone that allows you to hear, speak, view, and reward your beloved pooch at home via your smartphone, tablet, or laptop. In other words, you can chat using a two-way audio system with your pet using PetChatz! Your dog can see you on a LED display. 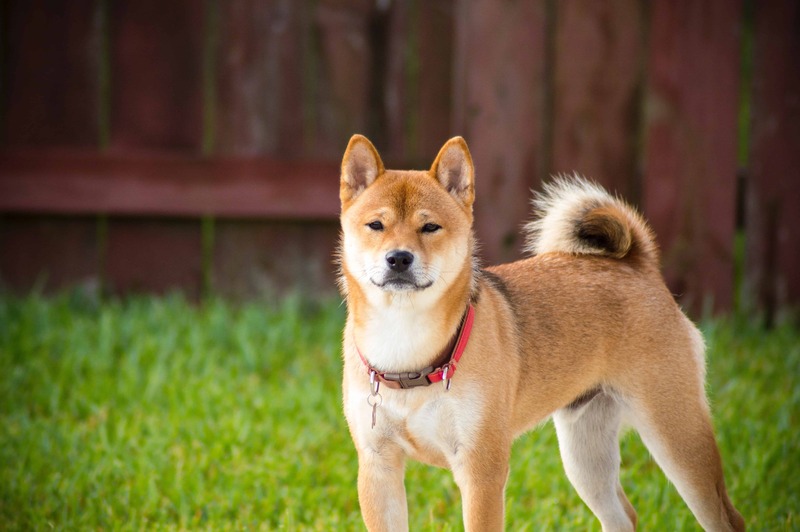 With sound and motion sensors, you can always get alerted when your pet is about to commit some canine crimes, and hence you can tell him to stop. Likewise, you can always reward him for showing good behavior using the remotely-activated treat dispenser. If Doggo is feeling down or stressed, give him a quick spritz of soothing pheromones using the remotely-activated PetChatz Scentz. Moreover, this unit is compatible with PawCall so your furry buddy can call you in a jiffy or play brain-stimulating games for smart doggies. PetChatz is made with dogs in mind. There are no sharp corners or tempting electrical cords that your chewer may not able to resist. Plus, you can rest assured that this product is durable and long-lasting. There is an increasing number of pet cameras available due to its demand. But you have to choose carefully and make sure that the one you choose works best for your home and your pet. It is important to know that what works best for another pet and his owner, differs from another. Hence, it can be helpful to compare various pet cameras, so you will get the best value for your money. 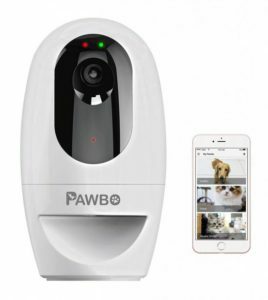 We narrowed down seven of the top-rated pet cameras, but we highly recommend the Pawbo+ Treat Cam, which offers a high-level of functionality. It's a cute little camera that boasts big features, allowing you to stay connected with your beloved pets wherever you are. Whether you are a cat person, a dog person or both, this pet camera should be perfect. Can I Get Fleas from My Dog?